Gifts for the strong and remarkable women in your life. 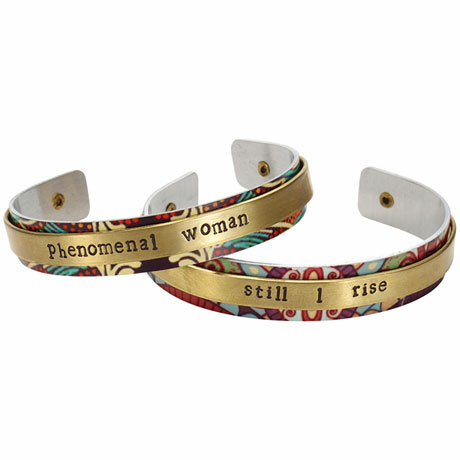 "Phenomenal Woman" (HX7252) and Maya Angelou's stirring, defiant "Still I Rise" (HX7262) are hand-stamped on brass riveted to a printed aluminum. ½" wide, 2½" diameter (standard size) cuffs are slightly adjustable.